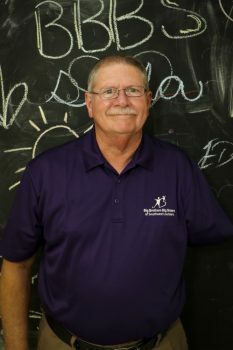 Big Brothers Big Sisters of Southwest Louisiana. 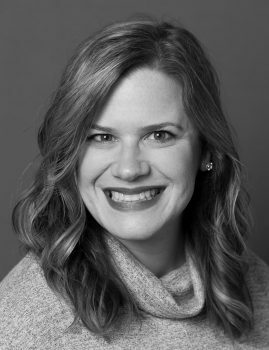 Born and raised in Orange, Texas, Erin received an undergraduate degree in Sociology/Social Work from Lamar University and a Master's Degree in Business Administration from University of Phoenix. Sixteen years ago, she moved with her husband to the Southwest Louisiana community and she has been a staple in the community ever since. 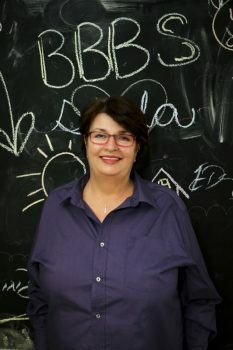 After her most recent position with CHRISTUS Health Talent Acquisition, St. Patrick Hospital, she joined the BBBS-SWLA team in May of 2017 as the Executive Director. Erin loves to read, spend time with her three Grand-daughters, travel with her husband, and be an advocate for children and families in the Community. Her civic work included: Board member with ICSHRM (Imperial Calcasieu Society for Human Resource Management), Women's Business Network Advisory Board Member, 2018 Leadership SWLA Graduate, 2018 West Calcasieu Chamber of Commerce Board Member, and a member of the SWLA Arts & Humanities Council. 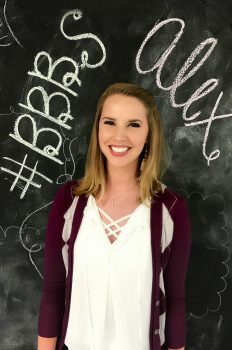 Originally from Shreveport, Louisiana, Alex graduated from Louisiana State University of Shreveport with a BFA in Digital Arts and a concentration in Graphic Design. Community has always been a priority for Alex. 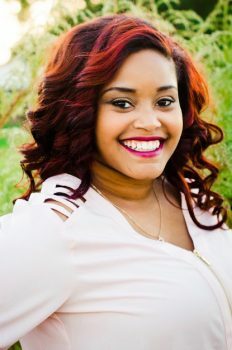 Previously, she worked as the Community Development Coordinator at the Bossier Arts Council and was also Social Co-Chair for YPI - Young Professional Initiative of NWLA. Alex is now making Lake Charles her home and is excited for opportunities to get more involved. She is a recent member of the Lake Charles Happy Hour Rotary Club and is also involved in the Lake Charles Young Professional group, Fusion Five. When she isn't at the office, she enjoys spending time with her pups and attending local events in the area to socialize and meet new people. If you see her out and about, be sure to say hello! Kathy has been the Director of the Foster Grandparent Program for several years. She is passionate about helping the children and elderly in the Southwest Louisiana community through this national program. This Foster Grandparent Program enables low-income senior citizens to supplement their income in a meaningful way by providing volunteer service to special-needs children, usually in the school setting. The program, funded by a federal grant through the Corporation for National and Community Service, has been sponsored locally by Big Brothers Big Sisters of SWLA since 1999. David is a lifelong resident of Southwest Louisiana. He graduated from South Cameron High School and went on to graduate from McNeese with a degree in Accounting. He joined the BBBS-SWLA team in 2013 and has become an indispensable handyman, Diet Coke purchaser, and institutional knowledge provider. We'd be lost without him! Taylor is a graduate of Sulphur High School. She studied at McNeese State University, where she went to receive a Bachelor’s in Criminal Justice. She attends Immaculate Heart Church in North Lake Charles, where she is a catechist and teaches 7th grade bible study. In her spare time, she loves reading, rodeo, and is a current Big with Big Brothers Big Sisters where she loves hanging out with her Little. If you see her around, be sure to welcome her to the BBBS family!